The owner of this Sealine S34 asked us to move his boat from Burton Waters Marina, Lincoln over to the Norfolk Broads. 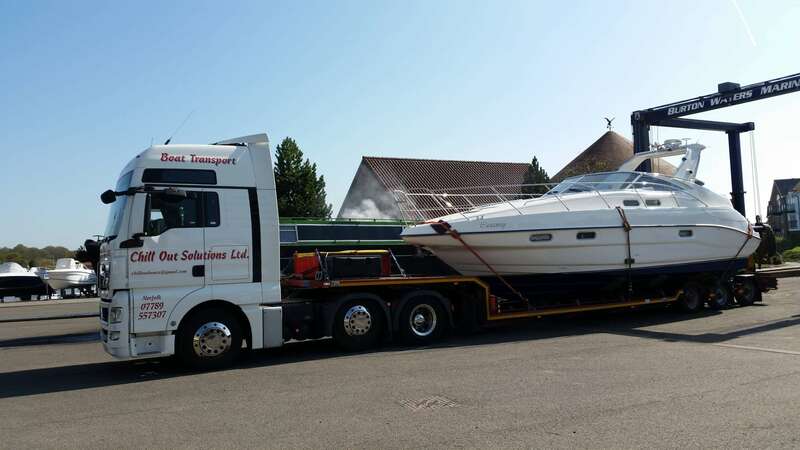 We delivered it to Broom Boats where the owner will start to explore the Broads. We are finding more frequently that some boat owners are moving their boats to different river networks and transportation by road makes this option easily achievable.